Millennium & Copthorne Hotels At Chelsea Football Club is one of London’s most unique accommodation, dining and conferencing offerings. 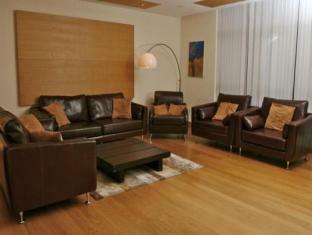 It is nestled in the heart of an upmarket district of the capital; with Kings Road just a stone’s throw away. The hotel, having undergone a multi-million pound refurbishment, is the very epitome of style and benefits from sitting at the centre of the Chelsea FC Stamford Bridge Complex. This contemporary London hotel accommodation boasts state-of-the-art conference facilities, chic restaurants and bars including 55 Restaurant, Marco Pierre White’s and Frankie’s, ensuring that all the requirements and diverse tastes of guests are met. 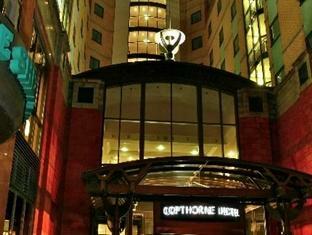 The Copthorne Superior bedroom is that one step more luxurious than the Standard bedroom (20sq. metre bedrooms). With complimentary internet access, you can keep in touch with friends and family from the comfort of your bedroom. Each room contains brand new deluxe beds with high quality linens, Italian marble bathrooms, plus tea and coffee making facilities. During your stay, be sure to sample the cuisine in 55 restaurant – serving eclectic European fusion, or Frankie’s restaurant offering a superb choice for a pizza or burger. Alternatively, for a superior dining experience visit Marco’s Restaurant. 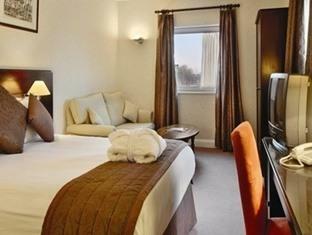 The Copthorne Standard bedroom is housed within the main complex of The Copthorne Hotel. Larger than average bedrooms for London (20 sq. metre), the spacious bedrooms, are an urban oasis within this big city. With complimentary internet access, you can keep in touch with friends and family from the comfort of your bedroom. Each room contains brand new deluxe beds with high quality linens, Italian marble bathrooms, plus tea and coffee making facilities. During your stay, be sure to sample the cuisine in 55 restaurant – serving eclectic European fusion, or Frankie’s restaurant is a superb choice for a pizza or burger. Alternatively, for a superior dining experience visit Marco’s. 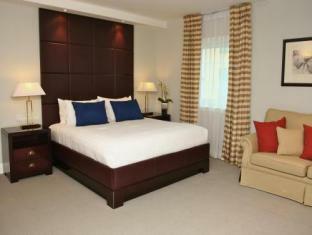 The Millennium bedroom is housed within the 4 star deluxe Millennium Hotel. Spacious (22 sq. 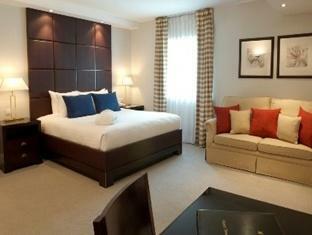 metres), light, airy & modern, the Millennium bedrooms are an urban oasis within this big city. With complimentary internet access, you can keep in touch with friends and family from the comfort of your bedroom. Each room contains brand new deluxe beds with high quality linens, Italian marble bathrooms, plus tea and coffee making facilities. During your stay, be sure to sample the cuisine in 55 restaurant – serving eclectic European fusion, or Frankie’s restaurant, a superb choice for a pizza or burger. Alternatively, for a superior dining experience visit Marco’s Restaurant. 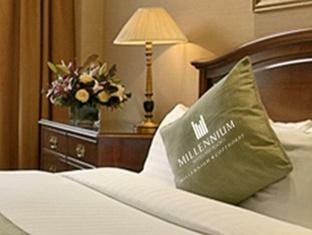 The Millennium Club bedroom is housed within the 4 star deluxe Millennium Hotel. Spacious (22 sq. metres), light, airy & modern, the Millennium Club bedrooms are an urban oasis within this big city, with the exclusive Club Lounge at your disposal. With complimentary internet access, you can keep in touch with friends and family from the comfort of your bedroom. Each room contains brand new deluxe beds with high quality linens, Italian marble bathrooms, plus tea and coffee making facilities. Our Suites are located within the Millennium Hotel and are a spacious - 50 square meters - including separate living area & bedroom, featuring all the modern conveniences you can expect from a 4 star deluxe hotel with an exclusive check-in. Suite guests can enjoy full access to the exclusive Club Lounge - a great space to unwind, relax and take advantage of; all day tea and coffee, light bites, international newspapers, evening drinks and complimentary Wi-Fi. Millennium and Copthorne Hotels At Chelsea Football Club presents the following range of dining options that are rated highly among the hotel restaurants in Chelsea, London, providing the perfect settings to celebrate and unwind during match days. 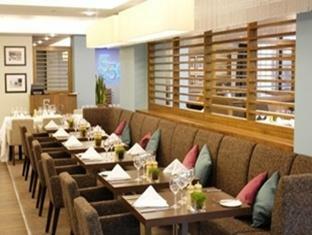 55 Restaurant at the Millennium & Copthorne Hotels at Chelsea FC, offers an innovative menu drawing on influences from England & Europe. 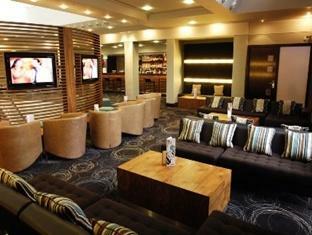 Contemporary & chic, 55 bar & lounge has had a complete make-over. Enjoy a coffee or the all day menu, or a cocktail to start off your evening. The perfect surroundings for a meeting with wi-fi access, or a place to relax with friends watching the wide-screen plasma TVs. Located within the Chelsea Football Club complex, Marco is a collaborative effort between restauranteur Marco Pierre White and Roman Abramovich fusing culinary delights from both sides of the channel. This dynamic venue offers a tempting array of Italian dishes within a family friendly environment. 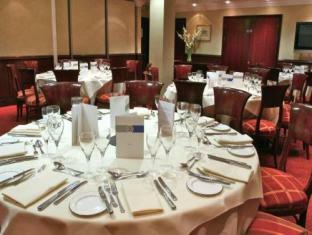 At Millennium & Copthorne Hotels we make organising events as easy and convenient as possible. Whether you are organising a meeting, conference, product launch, training course or private dinner, you will find the perfect venue to make your event a success. Millennium & Copthorne Hotels offer you over 200 meeting rooms and over 5,700 bedrooms situated in key locations across the UK and Europe. Millennium and Copthorne Hotels at Chelsea Football Club have a dedicated team to assist you – we can tailor your individual requirements to suit your budgets and ensure the very best value for money. The majority of our meeting rooms have natural daylight and a range of London meeting facilities to suit your every need. 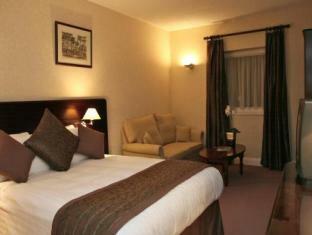 The rooms all boast their own unique style and character whilst maintaining a consistent level of service. WiFi wireless internet access in all public areas of the hotel - The Lobby, 55 Restaurant and Bar and Conference Rooms. Cards for this service are available from Reception (24 hours for £10) and are also available in all bedrooms and internet kiosk stations.